This photo is of the room which we are raising money for. 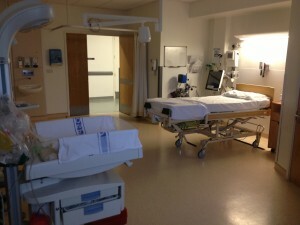 Currently this clinical room is your basic delivery suite. Our hopes are to make this suite comforting for women who are ill or suffer loss during pregnancy. It will be used by parents who lose their baby during pregnancy or soon after birth due to life limiting syndromes, illnesses, or fell asleep too soon. There is currently one Serenity Suite at the hospital and sadly at times and speaking from experience, one suite just isn’t enough. A double bed for the couple or family to share. Our aims for the new suite are to duplicate the facilities in the current room into the room that is pictured above and then to refurbish the furniture in the current Serenity Suite. We need an estimated amount of £10,000 and this just covers the essentials such as a double bed for the family, seating, decorating the room to make it a more pleasant environment and facilities to make simple things to eat and drink. Everything we aim to provide has to pass hospital hygiene and current legislation, so we can not just go and buy items from the high street. To give you an example a cold moses basket costs £2500 alone. There are over 4000 live births at Burnley East Lancashire Women’s and Newborn Centre and sadly there are many babies lost too soon. There are approximately 70 women and families who go through this room, giving birth to their sleeping angels each year. Although the suite and equipment we aim to provide will never make the lives of these families better, we hope it will give them just a bit of that precious time they need.